An open source textbook designed to teach ordinary differential equations to undergraduates. The books strengths will include a wide range of exercises, both computational and theoretical, plus many nontrivial applications. 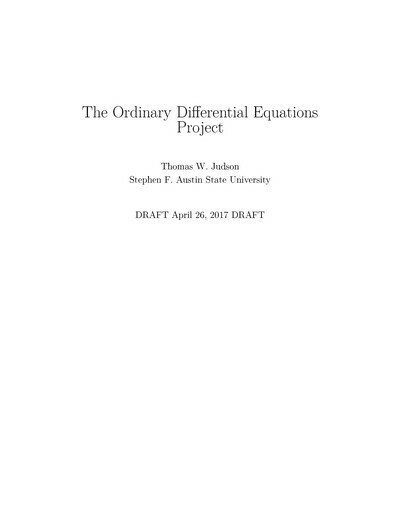 Thomas W. Judson wrote:This text is intended for a one-semester undergraduate course in ordinary differential equations. There are additional exercises or computer projects at the ends of many of the chapters. The computer projects often require a basic knowledge of programming. All of these exercises and projects are more substantial in nature and allow the exploration of new results and theory. Sage (sagemath.org) is a free, open source, software system for advanced mathematics, which is ideal for assisting with a study of ordinary differential equations. Sage can be used either on your own computer, a local server, or on SageMathCloud (https://cloud.sagemath.com). The Sage code has been tested for accuracy with the most recent version available at this time: Sage Version 7.3 (released 2016–08–5). 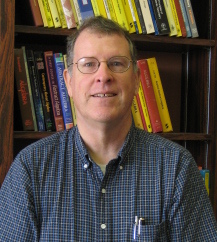 Thomas W. Judson is Associate Professor of Mathematics and Statistics at Stephen F. Austin State University. His research interests include mathematics education, differential geometry, Lie algebras and Lie pseudogroups.